As noted by Car and Driver, the 2018 Dodge Charger is the last four door muscle car that remains in production. With Chevrolet ending production for the Chevy SS, as a result of the closing of Holden in 2018, the Charger now offers unrivaled performance as a beefed-up American sedan. For 2018, each Charger, starting with the base model, comes standard with a backup camera and rear parking sensors. The horsepower range of the Charger is now wider thanks to the abundance in trim levels available to the market. 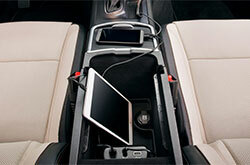 Standard to premium model Chargers all come with Dodge's UConnect infotainment system. 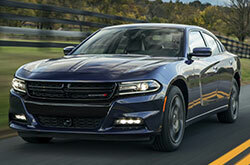 There are now ten trims available for the new Dodge Charger. Each one of the ten trims is now compatible with Apple CarPlay and Android Auto, giving customers more entertainment options than ever. The Charger utilizes an 8.4 inch touchscreen display, in conjunction with a few buttons, for infotainment system control. 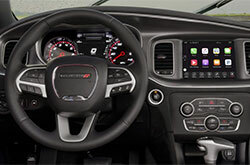 Dodge offers a two speaker options that are supplementary to its standard six-speaker sound package; a choice between a 10-speaker Beats Audio system or a 19-speaker Harman Kardon system. As in previous years, the Charger can comfortably seat five people with room in the trunk for additional cargo. The front seats are 6-way power adjustable. Bolstered performance seats, 12-way adjustable seats, heated seats, and ventilated seats can be had as options on the Charger. Cargo space, for the trunk, can be increased by folding down the 60/40 split folding rear seats. A manual transmission is unavailable for the 2018 Dodge Charger, but its eight-speed automatic transmission gives drivers the option to shift gears through steering wheel-mounted paddle shifters. 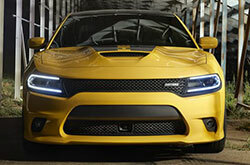 The base model SXT Charger houses a 3.6 liter V6 engine that produces 292 horsepower and 260 lb-ft of torque. The most premium model, the SRT Hellcat, is host to a supercharged V8 engine that produces a whopping 707 horsepower and 650 lb-ft. Fuel efficiency for the Charger is rated for up to 19 mpg city and 30 mpg highway. The 2018 Charger received a five star rating from the National Highway Traffic Safety Administration. 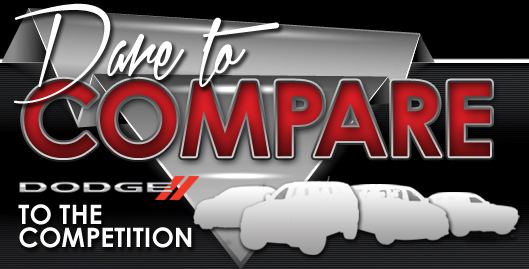 When tested by the Insurance Institute for Highway Safety, a non-profit organization, the Charger received good scores overall. The standard Charger receives airbags for the driver, passenger, front head, rear head, and front side. 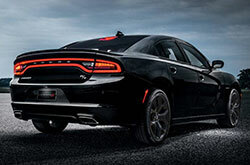 Electronic stability control, brake assist and ABS are also standard on the Charger. Additionally, the exterior receives an updated look with standard daytime running lights. Though a majority of the Dodge Charger lineup operates on a rear-wheel drive platform, there is an all-wheel drive option available for the GT Charger models. This all-wheel drive option gives extra traction to all four wheels in slippery conditions. Modern safety technology is available for the 2018 Dodge Charger. Blind-spot monitoring and a traffic alert system are offered as options for the Charger. Automatic safety-tech such as forward collision alert, automatic emergency braking, and lane departure warning are also available for the Charger. What are you waiting for? Find your Charger now!